“Writing, which is my form of celebration and prayer,” wrote Diane Ackerman, “is also my form of inquiry.” In this quote, Ackerman, author of A Natural History of the Senses and An Alchemy of Mind, describes how writing is an activity where one can find connection, inner peace, and healing. Here are eight steps, meditation tips so to speak, that can help turn your writing into a spiritual practice. Turn attention inwards. If you don’t know where to begin, start with the present moment. Simply write out what is occurring within moment by moment. What is happening inside right now? Get empty. By writing about the little things that bugged you, you can drop them and move on. Write about the conversation where you wish you said something differently. Write about the dirty look you got from a good friend. Get it all off your chest. Ahhhh, now you can really sink in and write! Getting empty is what creativity expert Julia Cameron calls, “the brain drain”. It’s a significant part of meditation. Once your brain is empty of its content, then your heart and mind can open to all that is naturally arising within. Allow anything to arise. Let go and allow what surfaces. Allow means to receive “all” including the “ow” – those thoughts, feelings, memories that are painful. Don’t identify with the pain, be curious about it! Let it be there. Of the many meditation tips you’ve heard, an important one to remember is to be the witness of your inner material. Investigate it, wonder why it’s there. Everything that arises within is fuel and power. Use it! Become a spiritual explorer. Writing isn’t just putting words on paper; it’s a chance to investigate your whole inner world – memories, dream snippets, images, physical sensations, and wisdom waiting for you to discover. If something arises from within, Wow!, explore it. Ride the flow. At first the writing might be slow and contrived, but after awhile the hand moves with energy across the page. Effort creates non-effort. Once the creative energy is flowing, follow where it leads you. One thought might lead to a memory which might lead to an insight which may lead to a creative idea. Follow the inspiration! Create a writing place for yourself. By returning to the same place each week, you give your psyche a non-verbal message as soon as you arrive: “Oh, yes, this is where I write and connect deeply with myself.” By writing in the same place you create a container for yourself, a special place to write and go inward. Write at the same time each week. Have that be your writing hour. Let nothing stop you keeping your commitment. The same is true with meditation. Sit on your meditation cushion at the same time of day consistently. Give yourself time to relax. Even when you are not writing, you are writing somewhere deeper. Insightful ideas and healing thoughts usually come when we slow down our thinking and make room for the inner flow to appear. Go for a slow walk. Take a hot shower or practice yoga. These activities create space in the mind. They hollow you out so that the creative flow of Life can enter you. These are meditation tips, suggestions to transform your writing into meditation. 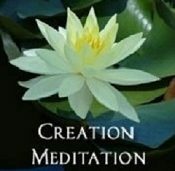 And it doesn’t have to be writing, any creative practice can become a means for meditation and going inward.